I've been involved with using online bidding to sell real estate for about 5 years now. The strategies have changed as I constantly learn new marketing strategies and how to work best with the MLS. In general an online auction usually runs about 3 weeks. The idea is to give it enough exposure and have time to have 2-3 open house previews. Recently I've realized that with the right marketing strategy and processes in place, this could easily be reduced to a week or less. Day 1 - 4 - Heavy marketing using online ads, signs in the yard, flyer box in the yard, and anything else you use to advertise in your local market. NO Showings allowed during this time. Day 5 (Friday) - This is the first day that agents can show the property to their buyers, but online bidding is not open yet. Written "pre-auction" offers are allowed until 7 pm Friday night. Day 6 (Saturday) - If the seller has not received & accepted a pre-auction offer, the first public open house is held for 2 hours sometime in the afternoon. 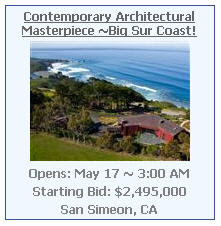 Online bidding opens immediately following the open house. When online bidding opens, it is mandatory that all offers/bids be submitted online. Day 7 (Sunday) - The second scheduled open house is held for 2 hours sometime in the afternoon. Online Bidding ends at 9 pm Sunday night. 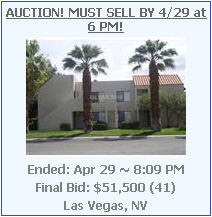 The highest bid is presented to the seller for their approval or counter. That's it on the high-level. The process creates a sense a urgency missing in today's market and gives you a new option for sellers in the right situation. I know it will work, but I need agents with listings that want to help prove it out in their market. If you're interested, give me a call at 636-527-3439. I'm sure you've heard of Craigslist and maybe you post your listings on it on a regular basis. As of right now, there is no automated way to post your listings on Craigslist, you have to manually post every listing yourself. This is actually a good thing otherwise the number of posts would be overwhelming and buyers would probably stop looking. Since it's a manual process and will take time every couple of days to keep your listings fresh, it's even more important that the ads you post are effective. You want to get the maximum number of buyers to act when they view your ad by calling you or going to your website or both. You want to know the number of buyers viewing your ad and clicking through to your website. You want to minimize the time it takes you to manually post your ads. If you agree, you'll be interested in the new Ad Maker Tool that's just been released. Could it be that there are so many real estate agents to choose from, that the general public can't differentiate? Maybe it's time to stand out and do something different. 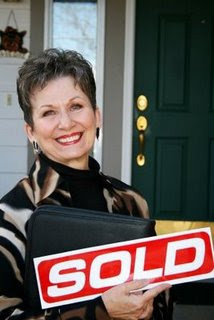 Using online real estate auctions to market and sell properties is one of the things you can do. It's new, different and exciting. It will definitely get you noticed. I've spent the last 5 years using online real estate auctions and here are some answers to common questions about them. A) No, not anymore. Auctions are now being used for brand new properties from builders and banks. Owners of any type of property, who are motivated to sell quickly, are turning to auctions for a solution. Celebrity Cher just sold a property she owned in Hawaii this past January via auction for $8.7 Million. A) Typically about 3-4 weeks. However, the speed of information is so fast and technology so good, that one real estate agent does it in only 2 days. It all depends on how fast you can execute your marketing campaign. A) In every state, you need to be a licensed real estate agent to sell any property other than your own. Each state has different rules. New Hampshire, Rhode Island & Georgia are the only states that I know of that require you to have an auctioneer's license to hold an online auction. A) I don't think so. I think there are more auctions today than ever before because of the current market. However, I also think they provide a solution that is needed in any market, and sellers will find they are an excellent option for a property in high demand too. If you've ever sold a property where you received multiple offers, think of how much fun it would be to have them bid it out online. What owner wouldn't want to have motivated buyers bidding against each other for their property? The other thing to realize is that the Internet is never going away. Our society gets more tied into it everyday. Almost everyone looks for properties online today, being able to make a bid online is the next logical step. Online bidding for real estate will change the traditional list & wait for offers model.